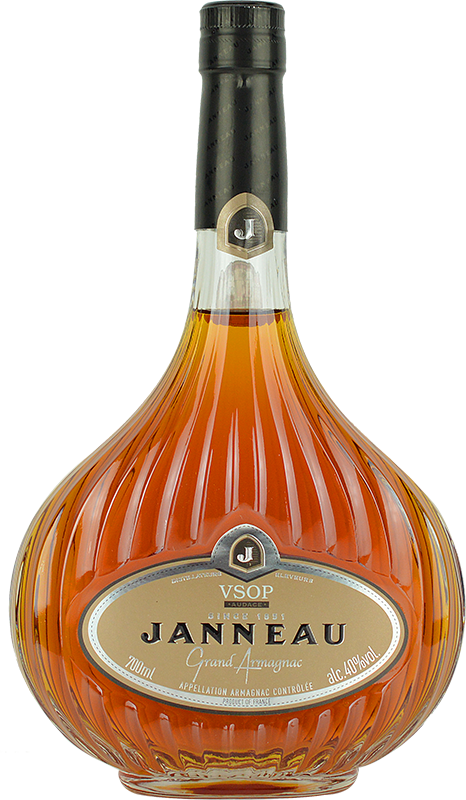 Personalised Janneau VSOP Brandy creates a perfect, memorable gift. Professionally laser engraved with your own special message etched onto the Glass to create a unique Brandy gift. Maison Janneau is one of the oldest of the great Armagnac houses. Bright amber colour this Armagnac is aged for a minimum of 7 to 14 years and bottled in the Janneau Basquaise bottle. Bright amber colour. Aromas of dried lilac, honey, figs, and toasted nuts follow through on a lively, tangy entry to a fruity-yet-dry medium-to-full body with white chocolate and caramel notes. Finishes with a lingering honeyed golden raisin toasted and spice fade. A delicious appetizing Armagnac that will be great on its own, in cocktails, or even with food.